Our mission is to provide safe shelter and help people improve the quality of their lives as they move beyond homelessness. Shelter House is a non-profit organization that has provided housing and supportive services to people experiencing homelessness since 1983. Founded by the Consultation of Religious Communities, we worked with the City of Iowa City to purchase a home in Iowa City’s north side where we were able to provide 29 sleeping spaces including beds, couches, and mats on the floor for men, women, and children. In 1994, with additional funding support from our community, we added a baseline of services to help people address the issues that had brought them to our front door. From that point forward, we have continued to develop and grow. 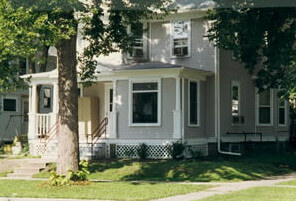 In 2010, after six long years of legal opposition resulting in a precedent setting decision by the Iowa Supreme Court, we opened a new shelter facility located at 429 Southgate Ave, Iowa City —a 70-bed facility built for the intended use with the necessary capacity to respond to the locally demonstrated need. 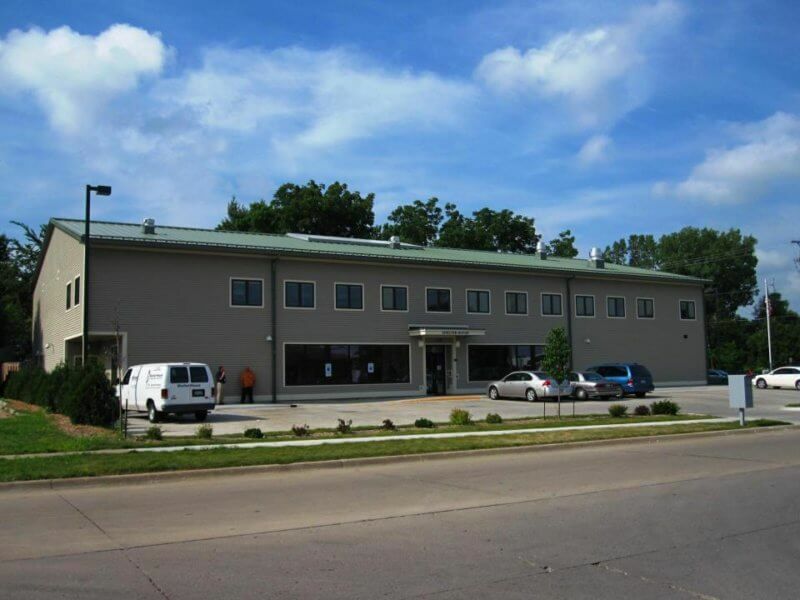 In 2011, Shelter House opened the first Fairweather Lodge—a demonstration program for the state of Iowa through which we provide permanent supportive housing for men and women experiencing homelessness, suffering from a serious persistent mental illness. Today’s Shelter House is so much more than a roof and a bed. We offer a robust continuum of programs and supports focusing on emergency, stabilization, and long-term interventions in the areas of housing, employment, and mental health recovery. In so doing, we help hundreds of men, women and children each year to get back on their feet. We keep children in school, help men and women get back to work, assist people with disabilities and elderly to access benefits and health care, and move individuals and families into their own homes. Simply put, we help people move beyond homelessness. Subscribe to our semi-monthly e-news and stay updated on what’s happening Under Our Roof. Receive information about upcoming programs, volunteer opportunities, special events, and more! Donations may be dropped off at Shelter House, 429 Southgate Ave, Iowa City, Monday thru Friday between 10am – 4pm. Check back Tuesdays at 5pm when we share #OurGreatestNeeds. Thank you for your continued community support! Please feel free to share #OGN!